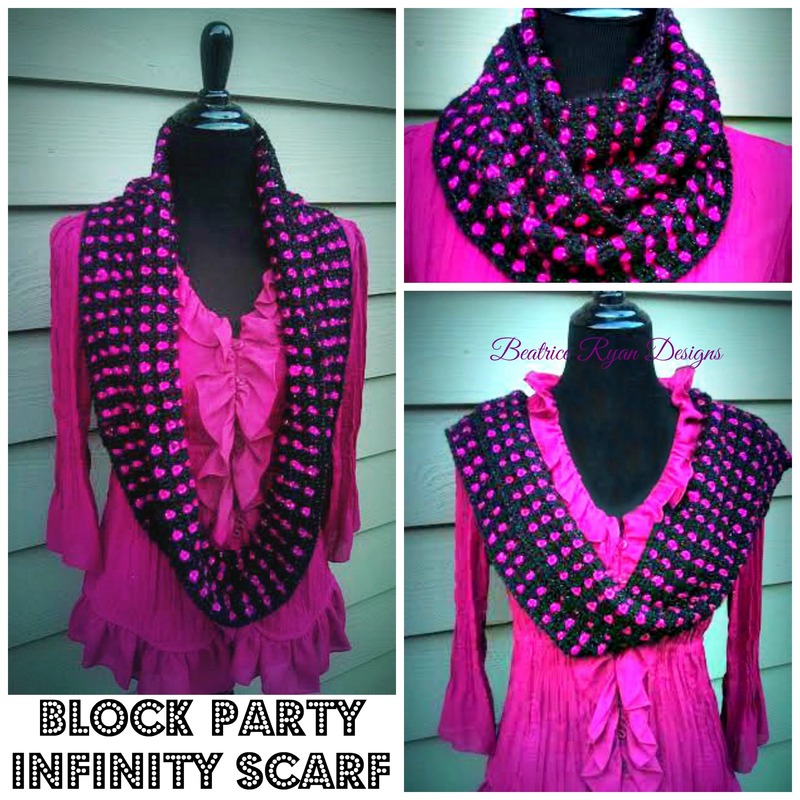 Block Party Infinity Scarf… Free Crochet Pattern! Add this pattern to your Ravelry queue and favorites for easy access!! Click Here…. You will be alternating rows with Color A and Color B. Row 3: Join with Sl St in any Ch 2 Space. Ch 3(Counts as a Dc now and throughout) and 2 Dcs in same Ch 2 Space, Ch 1,* Sk next Sc, 3 Dc in next Ch 2 Sp, Ch 1*. Repeat * * Around. Join with Sl St to beginning. = 60 (3 Dc Shells) and 60 Ch 1 Sps. Rows 5 ~ 19: Repeat Rows 3 & 4 Seven more times. Then repeat Row 3 once more. 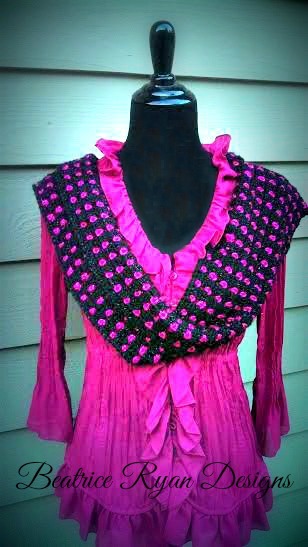 Fabulous Fall Fashion~Its all about wrapping up!! 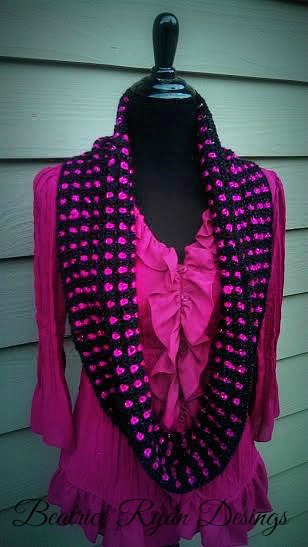 Northern Nights Scarf… New Free Crochet Pattern!! Berry Blitz Headband… Free Crochet Pattern! Amazing Grace Crochet Charity Drive… Week 8 Featured Pattern!! Wonderful Winter Infinity Scarf… Free Crochet Pattern!! I must thank each of you ladies. All of the patterns are beautiful… Thanks for sharing and caring. I love the colours you’ve used here! My favourites! I am going to start this right now with my A color being lime green and my B color being a dark purple. Hello – this is beautiful. I am going to make your pattern to complement a hat that was knitted for me by my sister-in-law in Patons’ Canadiana ‘raspberry’ and will add black. After, I will do one in something sparkly. As I might need to make it shorter can you please tell me the multiple that I need to follow to do this, please? Your help will be appreciated. Thank you for your generosity in sharing your pattern. Pamela W.
Just bit confused. Do you finish off each colour round then start with new colour? Cutting yarn each round? Thanks for any help. Rainbow Dash Tote Bag.... Free Crochet Pattern!! 2019 Crochet with Me!! Mystery Afghan Gallery and Giveaway Winner!! !